Now that the temperature is cooling down, wedding season is gearing up! October and November are two of the busiest months for weddings in Tampa Bay (with March and April rounding out the Spring wedding season). With more Tampa Bay brides and grooms hosting classier affairs, we’re seeing wedding guests upping their fashion game. Plus, one of the perks to attending a wedding is getting dressed to the nines. While you may not be able to buy a new dress for every wedding, with Lending Luxury in South Tampa, you don’t have to! 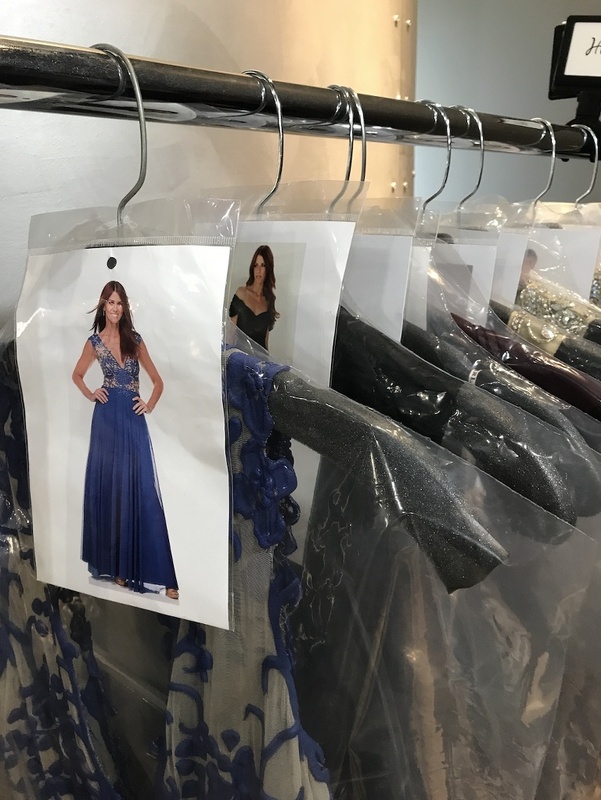 This dress rental boutique has been our go-to shop for weddings, holiday parties and galas. 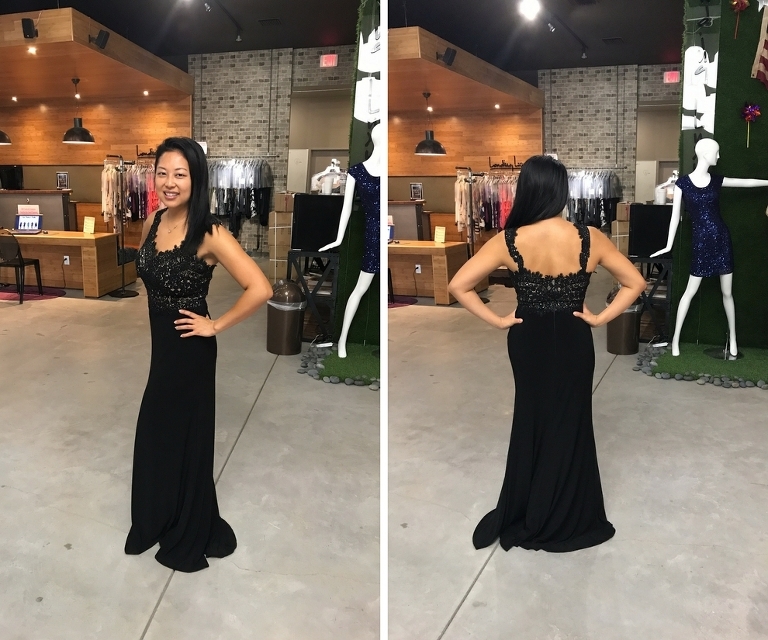 Unlike renting a dress online and worrying about how it will fit, we love that you can go into the store, browse from hundreds dresses and try them on to make sure they are flattering to your figure. Plus their staff is super helpful making recommendations for gowns to fit your style. They carry up to a size 16 and even offer alterations on certain gowns (extra fee), so even at 5’2 I can wear a floor length gown that won’t swallow me. 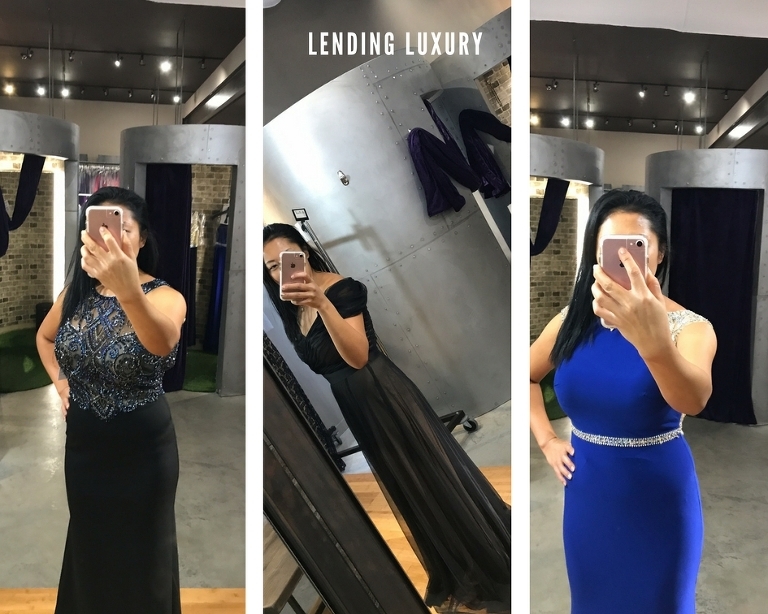 I tried on a total of four dresses that ranged from a beaded, form fitting dress, to an elegant chiffon ballgown and a glamorous rhinestone sapphire blue dress. 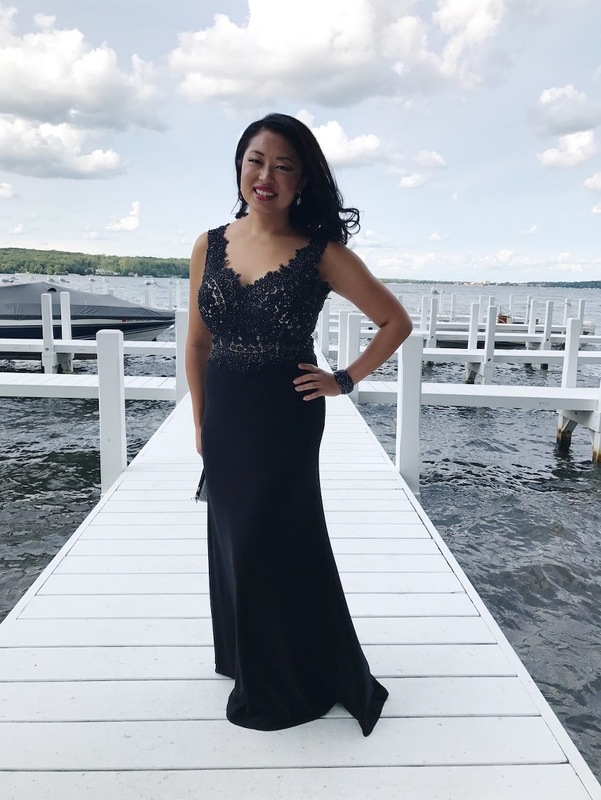 But ultimately I choosing the Clarisse Luxe Lace Evening Gown (rents for $95), which also turns out to be the most popular wedding guest dress rental! This post was sponsored by Lending Luxury. While I received a dress rental for this post, all opinions expressed are my own.